Let’s take a look behind the shoot of the Philippines’ first community-led multi-site HIV testing day on May 26, 2018! Meet the talented people who shared their passions for the HIV advocacy. Seven Barreto a fashion photographer of ten years, Erwin Aguila member of the Fashion Designers Alliance (FaDAL), Vincent Mallanta a gym buff make-up artist of seven years, Jenn Tuazon who balances medical technology and make-up, and Mila Gulfan an up and comer make-up artist shared love for This is Me: Brave and Free. It was an easy decision for Vincent and Seven to shoot for the campaign, even offering his studio to use. “I got a call from a friend and offered me to shoot for LoveYourself. I immediately accepted the offer, in the name of the advocacy.” Seven stated. Similarly, Erwin shared how FaDAL’s support for the HIV advocacy has driven him to join. 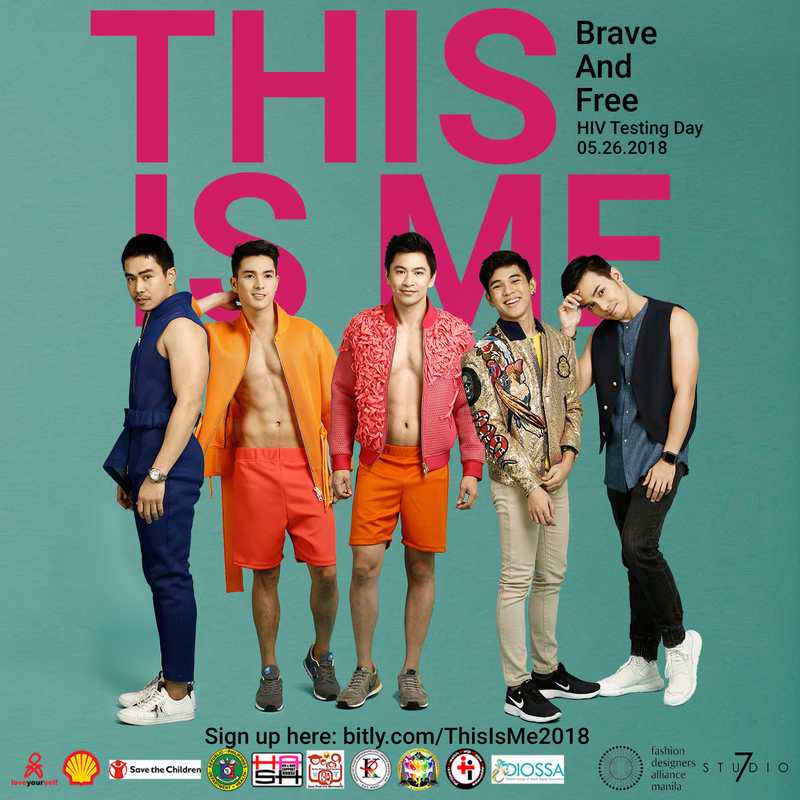 “HIV Prevention has been the advocacy of FaDAL Manila for a long time now so when I was given the opportunity to dress the models for this campaign, I said yes right away.” Erwin shared. Seven, Erwin, Vincent, Jenn, and Mila may have come from different backgrounds, but they put their time, skills, and talents together for a single purpose. 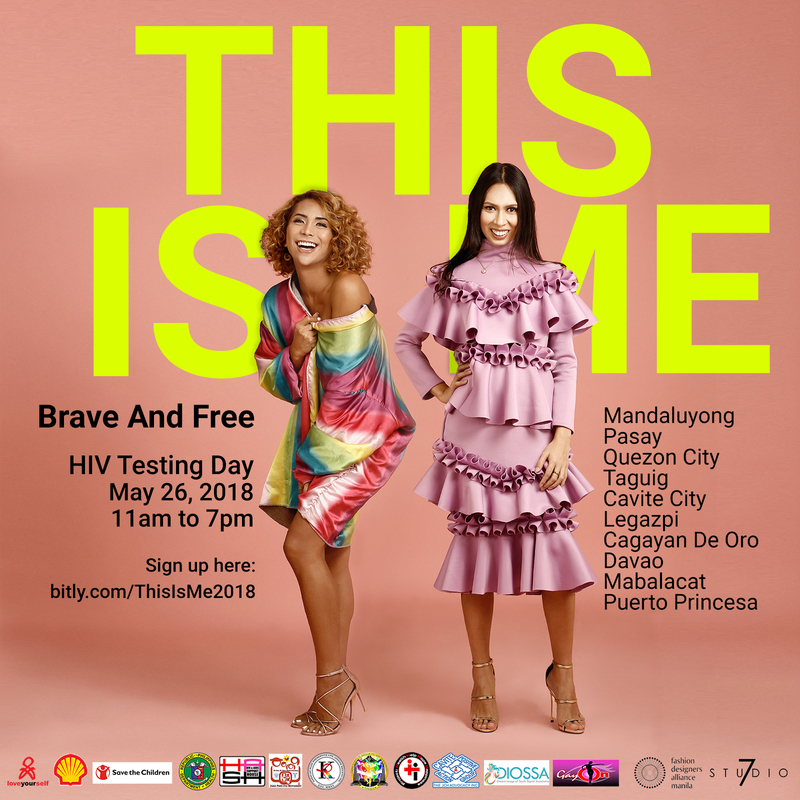 Much like the many community-based organizations supporting the event, their shared passions and resources are pooled for the greater good of the HIV advocacy. Being brave and free means different things for every person. For Mila, being brave and free means coming out of your shell. “I was always a shy kid. Growing up and meeting different people inspired me to embrace everyone, everything, and most especially myself.” she said. Jenn and Seven shared the same idea on how following what you love shows your courage and freedom. “Breaking free from your inhibitions, knowing that there will always be people who will criticize you, especially when it comes to your sexuality, takes so much courage and sometimes can be too overwhelming that some of us in the community choose to hide. With that, I think being yourself without caring about how people think of you or how they perceive you is the bravest thing you could ever do.” told Seven. Erwin and Vincent also shared similar sentiments with how knowing your HIV status is also a test of courage. “To know our status already says that we are brave and free so once we’ve done this first big step, we already have the courage and the strength to do the next correct steps.” Erwin stated. 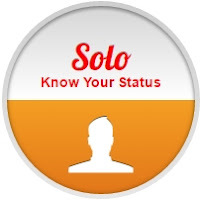 Shouting Out THIS IS ME! Fashion, make-up, and photography can give life to your day. As Jenn, Mila and Vincent pointed out how these things can boost your self-esteem. “If it can help boost someone’s confidence, then it can be a way to inspire people to live a more beautiful life.” stated Mila. Vincent even shared that this new found confidence can empower you towards more healthy habits. For Seven, supporting worthwhile causes like the HIV advocacy is a stride towards you standing up for your beliefs. “Participating in awareness and educational campaigns like this is an enormous thing for the community. 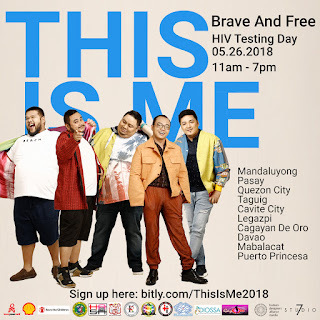 We need to enlighten people and debunk all those negative perceptions on getting tested, and on HIV, in general.” he said. 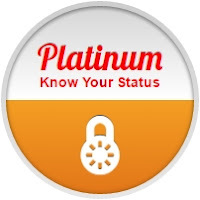 Erwin further discussed how knowing your HIV status is not the end. “Once you know it, life goes on.. you may even have a better life because you already know what to do and what not to do.. You can enjoy life even more because you are not scared anymore, no regrets.. you can live life happily.. you are free to dream and free to be YOU.” shared Erwin. Truly being yourself is about the bravest thing you can do. In this endeavor, we continually strive to discover more about ourselves. May it be knowing more about how we work, handle stress, or even just our sleeping schedule, it all helps us in becoming more self-aware. In our journey to self-discovery, let’s include our sexual health, and a single HIV test can be your first step to accomplishing this. Go to https://bitly.com/ThisIsMe2018 to sign up and you’ll receive a confirmation notice in a few days!